I knew I had found the correct bird in the field guide when it said, “Hops on open ground, Flies bouncingly“. 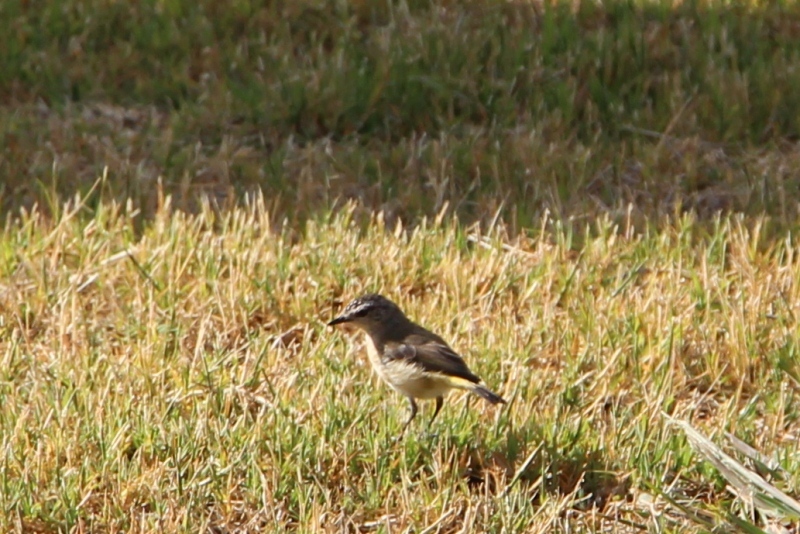 We have seen dozens of these birds bouncing and hopping around in the grass at this end of the property, but had never managed to get close enough to get a picture, let alone see them clearly enough to identify them. 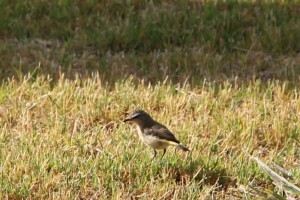 All I knew was that they are constantly moving, had short tails and flashed yellow when they fly. Only this morning, I had been thinking of just drawing a cartoon outline to post about them when I saw two in the backyard behind the patio. I got close enough to see the dots on his head and the yellow rump.